Love Point is the northern tip of Kent Island. Local pressure to build a light at this site was noted as early as 1837, but an appropriation in 1857 was insufficient. An additional appropriation of $15,000 was made in 1870, and a screwpile lighthouse was built in 1872. The light was built by Francis Gibbons, who along with Francis Kelly, built the first eight lighthouses in California. 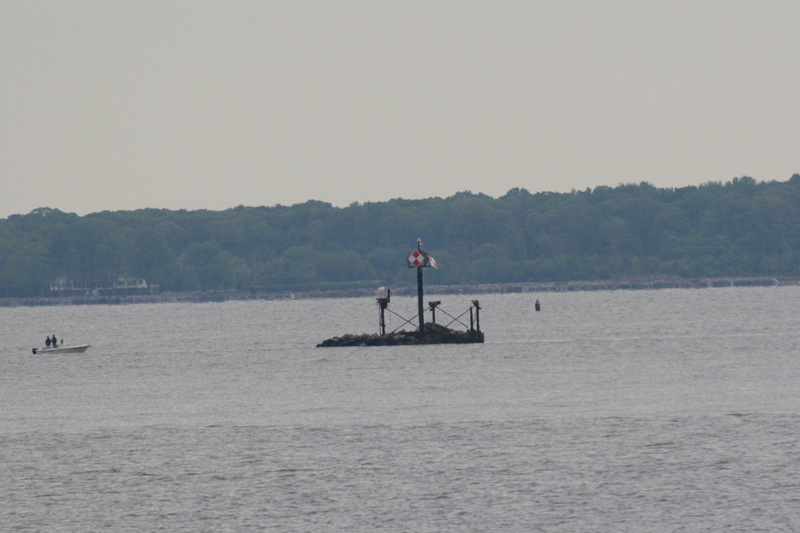 The light was a duplicate of the first Choptank River light. In the first winter after the light was built, ice broke two of the main columns supporting the lighthouse, and the light was discontinued for several weeks. The station was repaired, and an additional $15,000 was appropriated to deposit riprap around the pilings. It was threatened again in 1879, but escaped further damage. Love Point had been a popular summer vacation point in the 1900's, complete with boardwalk and hotels. By the end of World War Two, most of the beach facilities had closed. 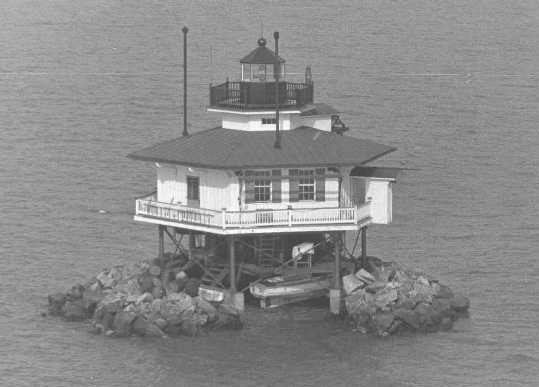 Automation and dismantling followed the pattern of other screw-pile lights in the bay; it was automated in 1953 and the house removed in 1964, replaced by a small light and fog bell on the old foundation.